On March 21st, the property at 289 Carling was transferred from the federal government to the City of Ottawa, moving the supportive housing project one step closer to fruition. Councillor Chernushenko held a town hall with residents from the Glebe Annex, Dow’s Lake and Glebe Community Associations on April 12th to help explain next steps. Mr. Saide Sayah, the Program Manager for the city’s Affordable Housing Unit, conducted the presentation and was also on hand to answer questions – of which there were many. One of the recurring questions was that of definitions – at times the project was referred to as a supportive housing project, and at others, as housing for the chronically homeless. Mr. Sayah clarified that it was in fact planned to be housing for the chronically homeless – the goal is to provide permanent housing to those who have been chronically or episodically homeless for six months or more. It’s expected that the clientele would be drawn from the more than 1000 people who currently use the city’s shelters every night in an attempt to provide stable, supported homes for them. Who the actual clientele will be will not be known until after the winning bid is selected. It could be for those with disabilities, mental health issues, addictions, or a variety of other issues which would require ongoing support. This support is why the project is also referred to as supportive housing – as opposed to simply low income, subsidized or affordable housing, as seen in Ottawa Community Housing or Centretown Citizens Ottawa Corporation (CCOC) models. Exactly what supports would be required would ultimately depend on the clientele, but could include personal support workers, case managers, community development coordinators (who help organize social events and outings), nurse practitioners, meal providers, etc. The city expects to issue a Request for Proposal (RFP) later this month, calling for bids on the property from not for profit supportive housing providers. The RFP will close in the fall. In its deliberation to select the winning bid, the city will consider a number of factors, including the organizations’ history, stability, financial viability, architect and builder, proposed site plan, service model, etc. Environmental remediation of the site, followed by construction of the building, are expected to start next year, likely in the summer of 2019. It’s expected that the development would be occupied by approximately 2021. Even though the project would be run by a not for profit provider, and not the city itself, that provider must sign an agreement with the city and remain accountable for the running of the project for 35 years. 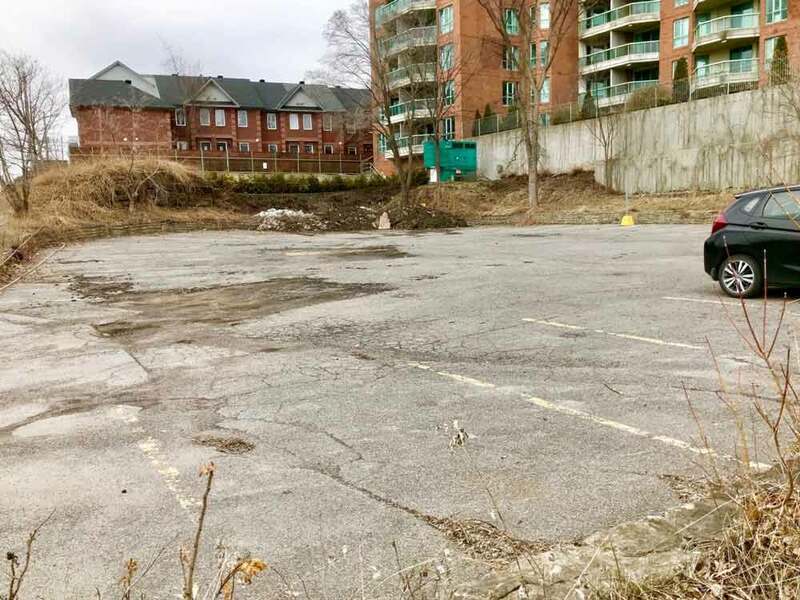 For its part, the city will provide ongoing funding to the operation of the project but will ensure that the agreed upon clientele is being served, that there is enough staff to provide adequate support, and that the site is being well-managed overall. Reaction to the presentation was mixed. A number of local residents are relieved that this project will be managed more carefully than a typical affordable housing building – and for a minimum of 35 years. Others remain concerned about neighbourhood safety and property values. Whatever the residents’ feelings, one thing is clear – the proposed housing for the homeless development is coming to this neighbourhood. The Glebe Annex Community Association intends to remain involved throughout the process and will work with the selected bidder from day one, in order to establish a relationship, have our concerns heard, and to try to ensure that this development fits into the community as seamlessly as possible. Next Next post: 291 Carling Avenue – Watch this Space!